I’m trying to ignore the fact that just days away from my half marathon, I’ve come down with a crazy cold. I’m not panicking (breathes deep and coughs) — I’m just rest, rest, resting and hoping for the best. Considering it’s my first half, I’m guaranteed a PR, so what have I got to lose? 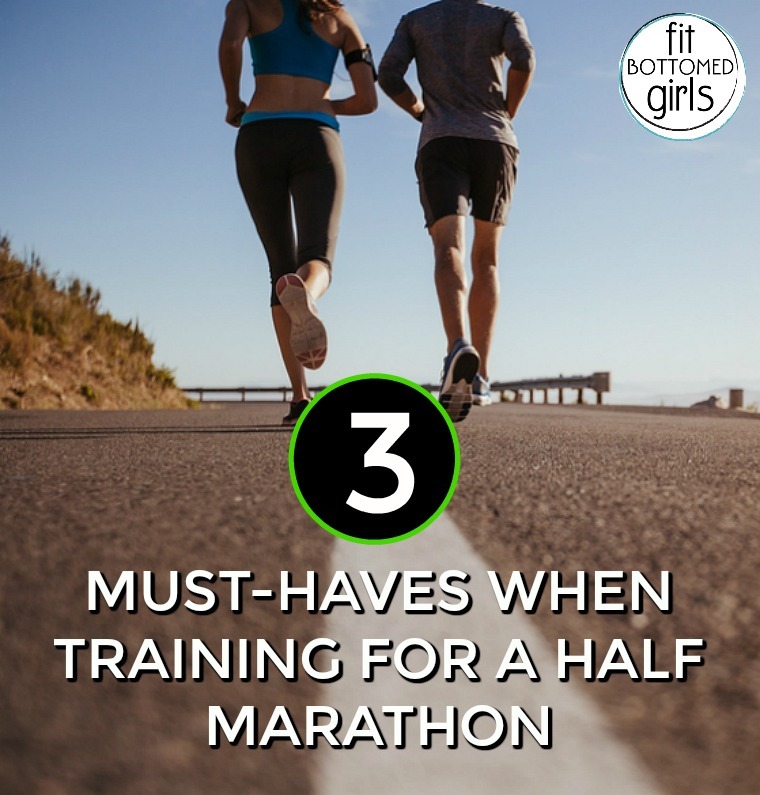 But on the bright side, in training, I’ve discovered a few bomb items that have been key to my training success, including earbuds that I want to buy in bulk. Here are my new running faves. FINALLY. Seriously guys, we’ve documented our struggle about finding earbuds that fit, and I’d finally resigned myself to wearing old school headphones for the last few years. 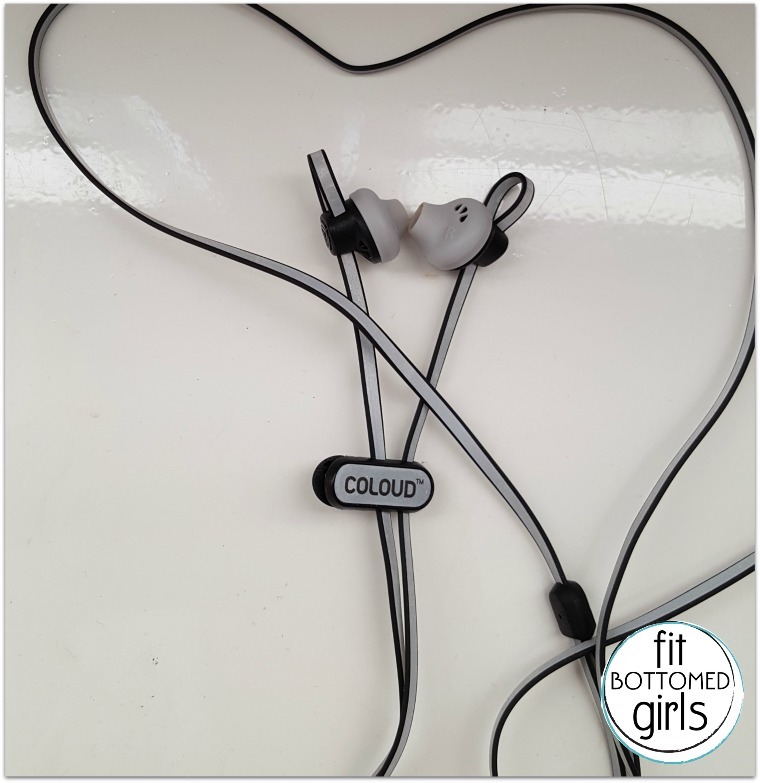 But these Coloud Hoop Earbuds ($30) that the company sent to me changed my life. They have an adjustable hoop that you can make bigger or smaller to fit your ear and it is magic. I’ve never had these pop out — not once. And while the hoop pressing against the outer ear cartilage isn’t the most comfortable, the benefits of not having to constantly put these suckers back in when they pop out is so, so worth it. I can even use a towel to wipe my sweat without worrying about knocking them out. Unheard of before this. If you’ve ever struggled to find earbuds that work for you, give these a shot. The Milestone Pod ($24.95) is one of those fun techy items that might not be a must-have for a casual runner but is a super fun-to-have for someone like me training for an event. 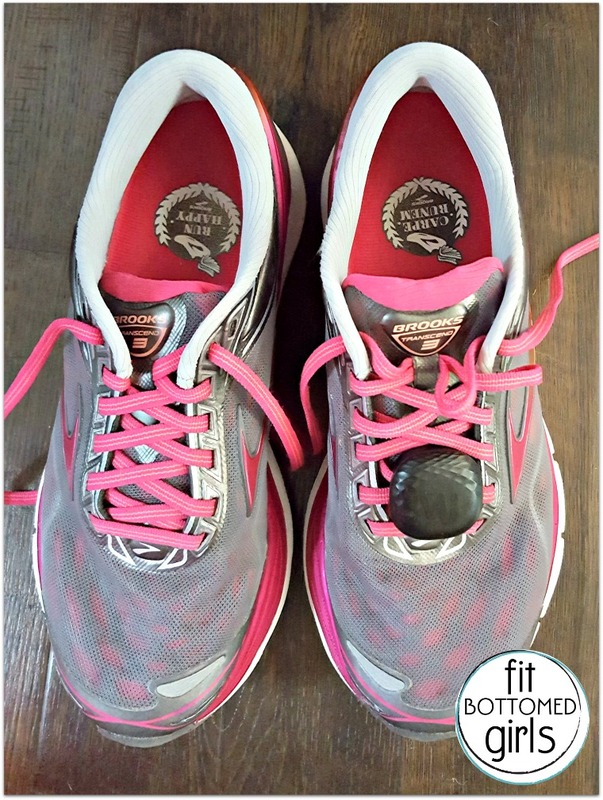 It’s a small device that clips onto your shoe laces and collects metrics from your runs. 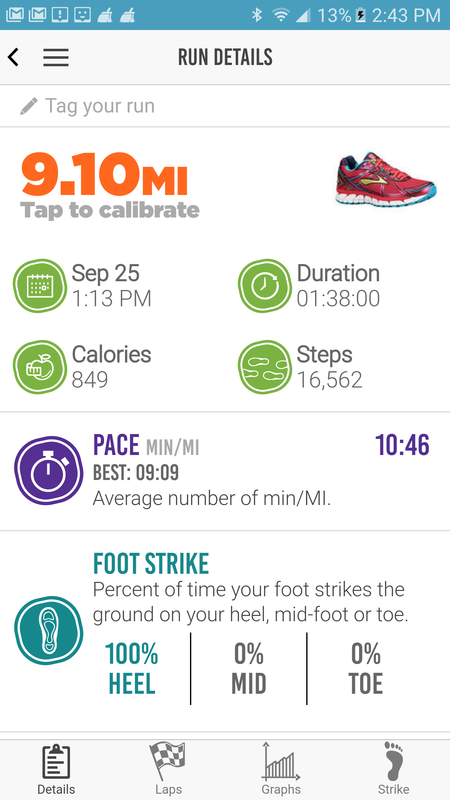 It tracks cadence, distance, duration, stride length, foot strike and overall run efficiency. It’s super easy to set up and sync for the app, and it also automatically sends you a run report via email after you run. I seriously credit this with helping me increase my cadence by a lot. If you’d like to try out a pod yourself, comment below with why you’d want it and consider yourself entered to win! I recently downloaded the RoadID app, a free app that allows you to let friends and family know that you’re heading out on a run. It’ll let up to five people know your running plans and then they’re able to track you while you’re running. Plus, a stationary alarm will alert your contacts if you’re not moving for more than five minutes. It was funny to come home to report to my husband after a long run and have him be like, “Yeah, I know you went that way,” or “I wondered why you took that street.” It made me feel safer just to know someone could keep track of me.